As 12G / 4K UHD continues to shape the landscape of broadcast TV, sports, live events and commercial production workflows, Laird delivers the most advanced BNC cables on the market for effectively transmitting 12G-SDI signals up to 325 feet. Utilizing Canare L-5.5CUHD coaxial, these BNC cables are the right choice to future-proof facility installs in studios and broadcast towers as well as outside broadcast interface applications. 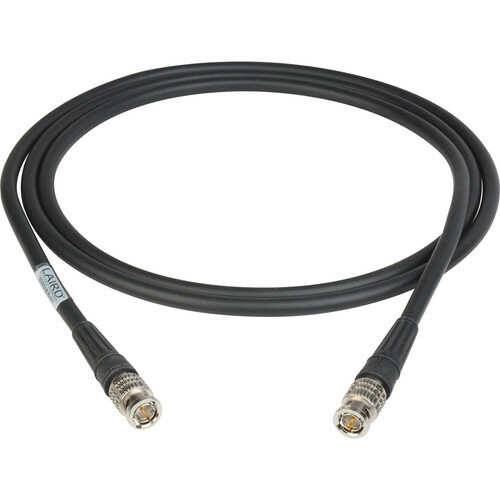 This coax cable has enhanced attenuation characteristics that allow transport of 12G signals at much greater distances than comparable-sized coax. Cables are fully SMPTE ST-2082-1 compliant and hand crafted with Canare L-5.5CUHD miniature coaxial and BCP-D55UHD connectors. A superb return loss at 12 GHz of 15 dB, 20 dB @ 6 GHz & 26 dB @ 3 GHz makes these cables perfect for 12G, 6G and 3G systems.